MPs have signed an Early Day Motion calling for Mitt Romney’s Cayman Islands tax haven to be closed, rounding off a disastrous week for the Republican candidate. Mitt Romney’s week from Hell is about to get worse. On Saturday he was trounced by Newt Gingrich in the South Carolina Primary; tomorrow he will reveal his tax returns for 2010, a move he has been forced into; and now Westminster MPs are calling for his Cayman Islands tax haven to be closed. 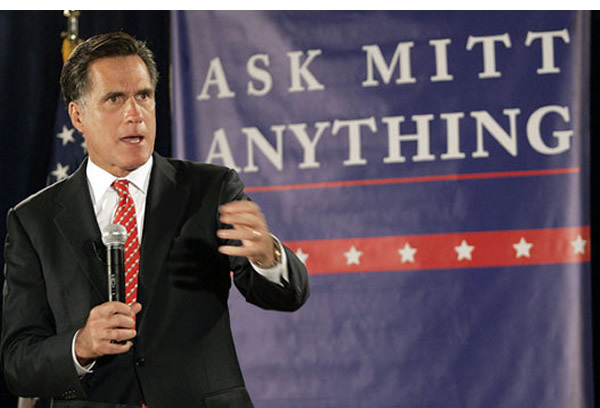 Frontrunner for the Republican presidential nomination Mitt Romney has been under fire over in the United States for not being entirely open about his tax arrangements – and it is clear why. The former Massachusetts Governor stashes an awful lot of his wealth and income away from the yes of the American Treasury and in the Cayman Islands – international tax haven and overseas British territory, or in old-fashioned language, a colony of the British Empire. The Early Day Motion has been proposed by former treasury select committee member John Cryer, Labour MP for Leyton and Wanstead. “As a former member of the Treasury select committee, I think it is a disgrace that the Cayman Islands, a tax haven, can enable wealthy corporations and individuals such as Mitt Romney and others in the wealthiest 1% to avoid tax and still be cloaked in secrecy. Meanwhile all across the western world, hard-working people are seeing their living standards and take-home pay stagnate or reduced. With the Primary race set to drag on long into the Spring, this renewed scrutiny of his tax affairs is the last thing Romney needs; with Romney’s team even denying the Cayman Islands are a tax haven and more scrutiny of how the murky offshore world works, tax could become a recurring problem for Team Romney. So British MP John Cryer, jumping on the anti Mitt Romney bandwagon, thinks the Cayman Islands is a “tax haven cloaked in secrecy” and wants it closed down. That’s a nice way to refer to fiercely loyal subjects of Her Majesty the Queen. Mr Cryer is clearly unaware that Cayman Islands laws encourage full tax cooperation with US and UK authorities. Cayman’s positive moves on transparency have been recognised by he OECD Global Forum which focuses on tax information exchange. Of course Mr Cryer, despite having been a member of the UK Treasury Select Committee, has a fascinating (and confusing) record with finances as The Daily Telegraph graphically outlined during their ground breaking investigation into MP’s expenses. Perhaps this explains why he can’t grasp how the Cayman islands operates. Still, I reckon its definitely the fact that Cayman Islands isn’t treated as a tax haven by anyone. I strongly suspect that its the full tax cooperation with US and UK authorities that encourages Mitt Romney or Coca-Cola, Intel, Oracle, News Corporation for that matter, to register subsidiaries there. Thanks for clarifying the situation Mr Irvine. We all massively trust your perspective on things. I see that Media House is so committed to transparency that they are not registered as a lobbyist with either the APPC or the PRCA, despite advertising their lobbying and PR services on the front page of their own website. Mind you, given that Jack Irvine made his name as a News International exec and Sun hack, perhaps we shouldn’t be too surprised. I find the politicos are rather generous in their praise and condemnation of those viewed as opponents. Before one condemns anyone for being wise enough to seek the so-called “tax havens”, one must first ask how they came to be in the 1st place. They exist simply because the world’s powerful (that very much includes the politicos) wish them to. I would fathom that many politicos are rather nervous with this Romney “witch hunting” for his (or anyone else’s) off-shore accounts. They are as popular with the political masses as they are with the corporate and wealthy of all nations. Second, Americans need to understand that the US is considered one of the top 5 tax havens in the world, just behind the UK, Hong Kong and such. But if you were to poll the average American, the vast majority would have no clue that such a luxury to non-Americans even existed. Where is the hypocrisy now? The UK has it’s own tax havens, the Tories need to shut up until they close the ones THEY control down.